Marriage: Alice Ethel JULIUS  on 1 Feb 1899 in Christchurch Cathedral N.Z. Cecil was Bishop of Melanesia (succeeding Bishop Selwyn) for 17 years, the Diocese was the Solomon and New Hebrides Islands. He lived on Norfolk Island from his installation as Bishop on the 29 June 1894 to 1911, then to Adelaide as Rector of Walkerville. In 1917 he was appointed Bishop of Bunbury, Western Australia until his retirement in 1937 to Perth. Cecil Wilson came to the Diocese a single man of a rather gentle unassuming nature, constantly homesick, often accused of vacillation and excessive caution in dealing with the leadership of a faction ridden, backward looking mission. Ref: Gods Gentlemen a History of the Melanesian Mission by David Hilliard, University of Queensland Press. Julius Jottings April 1902 No 7 reports the Bishop and his wife travelling to England to raise funds to replace the mission ship "Southern Cross" which is described as underpowered and unreliable for the task of fetching stores from Auckland NZ for Norfolk Island and supplying the missionaries in Melanesia. The cost was estimated at about L18,000, and the editor indicated he would gratefully receive any donations from the family on the Mission's behalf.
. . . . . This chapter reads like ancient history now. Only nine years have passed, and the energy of Bishop Cecil Wilson, backed up by the friends of the Mission, has given to the work a splendid steamer to replace the ship of which I have been discoursing. For the significance of this movement I refer my readers to the first of the appendices to this volume. It will be sufficient here to say that in place of the ship seen in the photograph taken at Santa Cruz, we now have a 500 ton steamer built by Armstrongs. Her nominal horsepower is 160, in place of the old 25; her speed 10 knots instead of 4; and she will carry 400 tons of coal in place of 54. There is sleeping accommodation for 60 boys, 30 girls, 12 male missionaries and 6 female; the captain and his crew wear uniform, and there is a lovely chapel on board. Cecil as a young man played cricket for Kent and partnered the well known all-rounder George Hearne, in a match "against Yorkshire at Canterbury, where he and Cecil (afterwards Bishop) Wilson added 215 while together"
A VISITOR'S CHRISTMAS AT ST. BARNABAS. To spend a Christmas in Norfolk Island was a most unlikely prospect, for us a year ago; but it has come to pass, and much we have enjoyed it ; the surroundings are so completely new and intensely interesting. The Melanesian boys and girls in the daily services in chapel, are, perhaps, the best sight of all. Their ways are most reverent and devout, and they seem, as a congregation, to enter into the spirit of worship in a manner that would appear almost unnatural for English boys and girls. Their singing of the chants and hymns is quite musical, and more than one of the boys can take his turn as organist. The beauty of the chapel (a memorial of Bishop Patteson) with its fine proportions, Burne-Jones windows, inlaid marbles, etc., doubtless encourages the spirit of reverence. As the Melanesians have bare feet, they go in and out quite noiselessly, and so there is no shuffling to disturb the worshippers. Indeed, the life here is quite a revelation ; the eight of about 200 boys and girls looking so bright and happy in their new surroundings, so free from quarrels, and signs of the heathenism from which some of them have only lately been brought, is most striking. The explanation is; I think, that the workers in this Mission follow in the steps of its great founders, especially of one Bishop Patteson of whom it is said that he treated the Melanesian family he had gathered round him "with a perfectly genuine sympathy, a love, and a self-denial which awoke all that was best in their characters, and met. with full response," and therefore God's blessing on the work is evident. Christmas holidays last here for a fortnight; and the Mission staff say it is the hardest work in the year. For though the many classes, the labour in the fields, etc., are dropped, other work takes their place. First, for two or three days comes the " spring cleaning," when boards and walls and furniture-everything in the place are scrubbed with a, mixture of lemon juice and sand. Lemon trees grow wild here, and are just now laden with fruit, most of which will be wasted, as the Norfolkers cannot get their goods to market. After the big cleaning is over, the boys go on fishing expeditions, or devote their time to cricket; while the girls have picnics, taking kumaras, etc., to cook for themselves. Three or four cricket matches came off last week. The sides are generally the Melanesians against the Norfolkers-the Mission staff, with the Bishop, helping the former. For the evenings, various entertainments are got up. One night last week the Bishop gave a good magic lantern display, and on the following evening the old fairy tale of " The Three Bears " and " Silver Locks," with conjuring tricks in the intervals, was most successfully given by some of the staff, all the conversations being, of course, in Mota. The boys and girls shouted with delight, and, at the conclusion, sang " God Save the Queen " enthusiastically, and musically too. Two nights ago a conversazione, in honour of the visitors from Christchurch, was arranged by the Mission staff, and was a great success. The dining-hall, where it was held, resembled the palm house at Kew Gardens, excepting that as a background to nikau and other palms, and all sorts of tropical foliage, tree ferns, etc., were flags and bright, coloured stuffs draping the pillars and walls. There were between 100 an 200 guests, mostly Norfolkers, of course with the chief magistrate and his daughter, and the chaplain and Mrs. Aldous. The island orchestra, with bass viol, violins, and flute, accompanied by piano and American organ, gave good instrumental music and glees ; and songs and piano solos were contributed by members of the Mission. Speeches from the two Bishops, and the National Anthem, concluded a very pleasant evening. Last night, as soon as darkness came on, by the light of two great fires, the boys gave a very graphic illustration of native dancing. First, from out of the shadow, came a, strong body of a Florida, and Solomon Island boys, armed with spears and shields, decorated with grasses and flowers, and wearing anklets of bean pods, which rattled merrily as they advanced. The low, droning song gave time, and increased the weirdness of the dance. After them came the Banks Islanders, whose native dance seemed to us singularly effective, representing the movements of birds, their calls, their settlement, on the waters, and their rush on the wing Then followed Mota dances of the same type, and the entertainment finished up with a second exhibition by the Florida boys. It was a. pleasure to us to find the native dances encouraged, purged of evil associations, and none the less natural and effective. To-day we are to entertain the Mission staff and their Melanesian family, with a few friends from other parts of the island, at a. picnic. A " family " is certainly the term to use for this community. All meet twice daily in chapel, and at the three meals in hall. The Mission staff and guests occupy a, long centre table, flanked on one side by many smaller tables for the boys, and on the other by one for the girls. There is no restraint on the young folk in the matter of talking while they keep fairly quiet, which is almost always the case. They have meat every other day, and fish generally once a week ; but kumaras, potatoes, and rice seem their staple food. On New Year's Day the Melanesian members of the community were almost entirely in the charge of the native deacons and the married native women, the former looking after the boys and the latter taking care of the girls; for all the white people were having a " Quiet Day " five services in the chapel, conducted by the visiting Bishop. Two boys have died since we came, both, I think, from a form of consumption, which had begun before they left their islands. The funeral service in the chapel, and then in the beautiful little cemetery on the slope of a hill, was touching. As one, watches these Melanesian people, it is difficult to realise that they, or at any rate, their parents, were savages. They have good tempers, gentleness and sometimes even refinement in their faces. I have not any more space to tell of the loveliness of this island. Its " bush " is most varied, with tree-ferns, nikau palms, white oaks (now covered by their delicate pink flowers), lemon trees laden with fruit, a large mauve convolvulus clinging over everything, interspersed with passion fruit; the yellow acacia and many other trees, with the stately Norfolk Island pine growing everywhere. As to the climate, the sun certainly is very powerful for several hours in the day, but there seems to be always a strong sea breeze, so that in the shade one can keep quite cool. We have met many of the Norfolkers, and find them the genial, hospitable people. they are reported to be. Altogether, our holiday here has been most refreshing to mind and body. Extract from The Southern Cross Log. Consecrated Bishop of Melanesia, 1894; Archdeacon of Adelaide, 1911-17; Bishop of Bunbury, 1917-37. The right Rev Cecil Wilson, D. D., a former Bishop of Bunbury, died in Perth on January 19, at the age of 81 years. He was one of the oldest Anglican bishops and was one of the youngest when he was consecrated Bishop of Melanesia in 1894. After retiring from that work in 1911, he came to Australia and was Archdeacon of Adelaide from 1911 to 1917. Dr Wilson became Bishop of Bunbury in 1917 and served in that office for 20 years, when he retired, and he had since lived privately in Perth. The youngest son of the late Mr Alex Wilson, of Beckenham, England, Dr Wilson was educated at Tonbridge School, and Jesus College, Cambridge, where he took his BA and MA degrees. 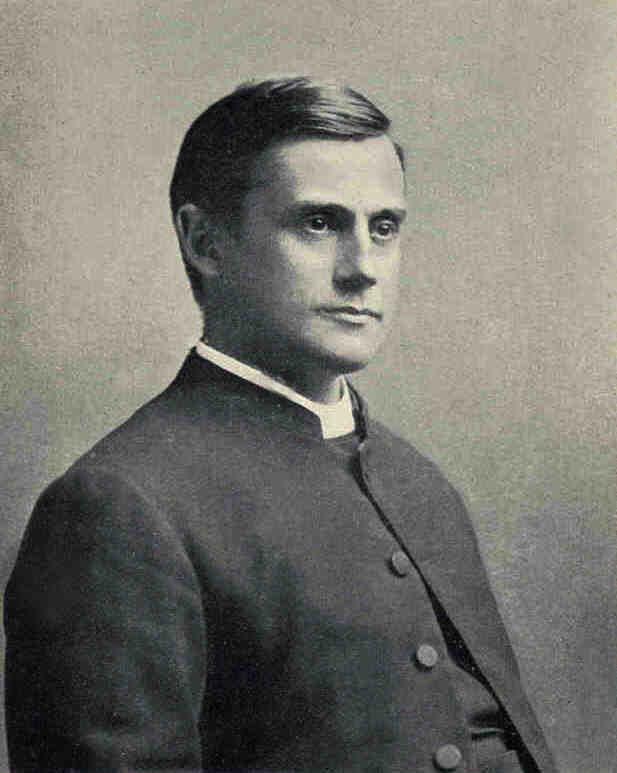 He received his Doctorate of Divinity in 1908. After eight years service in England, he went overseas. In 1899 he married, Ethel, the daughter of the late Most Rev Churchill Julius and leaves three sons and four daughters. Dr Wilson was the author of "The Wake of the Southern Cross" an account of his work in the mission field. Full of years and honour, Cecil Wilson fell asleep in Christ on Sunday, 19th January 1941. One must be an old man to remember the stir which his consecration as Bishop of Melanesia (in succession of Bishop John Selwyn) caused among missionary hearted church people in England. For he was then best, if at all, known among enthusiastic followers of county cricket, as a player for his own County of Kent. He had only just reached the canonical age for the Episcopate, after experience on the staff of that nursery of bishops, St Mary's, Portsea, and a Portsmouth parish. The traditions of the Diocese of Melanesia, with its memories of the heroic martyr, Bishop Patterson, and the stalwart and long-suffering Bishop John Selwyn, son of George Augustus Selwyn, Bishop of New Zealand and founder of the Melanesian Mission, called for a successor who should combine spiritual earnestness and missionary zeal with "muscular Christianity"; and it was generally recognized that the choice of authority had fallen upon a most suitable man. Seventeen years of devoted labour in the Islands justified the choice, for they were years in which the good work was quietly consolidated and widely extended. Moreover, when the time came, he showed himself possessor of that supreme Christian grace, "the grace of resignation" and passed on the work to younger hands rather than see it stagnate or go back. There are few openings for work in Australia for a retired bishop; but Bishop Wilson, rather than return to the comfort and opportunities of England, took over the responsibility of a suburb on Adelaide parish (Walkerville), and with it the Archdeaconry of Adelaide, and then he laboured with acceptance till Bunbury invited him to become its second Bishop, in succession to Bishop Frederick Goldsmith. For 20 years he served that Diocese, till age and increasing infirmities made another resignation inevitable and wise. But only for three years has he lived to enjoy a well earned retirement, and even in those years his restless energy and high sense of duty led him to give such clerical help as he could in the parish of South Perth to which he had retired. What a splendid example of devotion to work, of simple spiritual earnestness and sincere faith does his life afford. Without remarkable intellectual gifts, he just worked on at whatever work his hand found to do, and he did it with all his might. And now that his long innings has closed, he retires to God's pavilions amid the admiring and affectionate plaudits of his fellow men, and, we believe, to hear the welcome greeting of his Captain, "well done, good and faithful servant". Cecil was Bishop of Bunbury Western Australia 1918-1937, he is remembered with a memorial altar in Bunbury Cathedral and with a stained glass window and portrait in the Cathedral Grammar School Chapel, Bunbury. Julius Jottings. October 1900. No. 3. It is interesting to hear from "The Southern Cross Log" that though Norfolk Island may be supposed to be in Melanesia, in reality it is not. Episcopal functions are administered there by the Bishop of Melanesia, only at the request of the people, and with the consent of the Primate of New Zealand and the Colonial Secretary. Melanesia lies 800 miles away to the north, and Norfolk Island is merely the nursery where its missionaries are trained. The Norfolkers number over 700 now, under a chief magistrate (Mr C. King grandson of Governor King first Governor of the island) and a council of 12 elders. Their Chaplain is the Rev P. M.Aldous, of Selwyn College, Cambridge. The Wake of the Southern Cross: Work and Adventures in the South Seas. The High Altar at St Boniface Bunbury Cathedral was donated by his family in memory of Cecil Wilson. Also the Cathedral Grammar School Chapel has a stained glass window in his memory. - PMB 530 WILSON Bishop Cecil (Anglican Bishop of Melanesia), Diaries, 1894 - 1914 2 reels. 1. Additional Photos of Cecil Wilson.